One of the biggest concerns for new homeschool parents – or those who’ve gone through job loss or divorce – is the cost. There are many ways to save money on homeschool curriculum, but what about parents who find themselves in the position of needing to homeschool for free or almost free? Believe it or not, it can be done! Homeschooling doesn’t have to be expensive. Thanks to the Internet (along with smartphones and tablets), high-quality, low-cost homeschooling resources are available to anyone anywhere. Khan Academy has a long-standing reputation as a quality resource in the homeschooling community. It is a non-profit educational site started by American educator Salman Khan to provide free, quality educational resources for all students. Organized by topic, the site includes math (K-12), science, technology, economics, art, history, and test prep. Each topic includes lectures delivered via YouTube videos. Students can use the site independently, or parents can create a parent account, then set up student accounts from which they can track their child’s progress. Easy Peasy All-in-One Homeschool is a free online resource created by homeschooling parents for homeschooling parents. It contains full homeschool curriculum from a Christian worldview for grades K-12. First, parents choose their child’s grade level. The grade level material covers the basics, such as reading, writing, and math. Then, the parent selects a program year. All of the children in a family will work together on history and science covering the same topics based on the program year chosen. Easy Peasy is all online and free. It's all planned out day by day, so children can go to their level, scroll down to the day they are on, and follow the directions. Inexpensive workbooks are available to order, or parents can print the worksheets from the site at no cost (other than ink and paper). Ambleside Online is a free, Charlotte Mason-style homeschool curriculum for children in grades K-12. 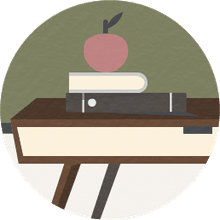 Like Khan Academy, Ambleside has a long-standing reputation in the homeschooling community as a quality resource. The program provides a list of books that families will need for each level. The books cover history, science, literature, and geography. Parents will need to choose their own resources for math and foreign language. Ambleside also includes picture and composer studies. Children will do copywork or dictation on their own for their level, but no additional resources are needed since the passages can be taken from the books they’re reading. Ambleside Online even offers an emergency-plan curriculum for families homeschooling in the midst of crisis or natural disaster. YouTube isn’t without its pitfalls, especially for young viewers, but with parental oversight, it can be a wealth of information and a fantastic supplement to homeschooling. There are educational videos for nearly any topic imaginable on YouTube, including music lessons, foreign language, writing courses, preschool themes, and more. Crash Course is a top-rated channel for older kids. The video series covers topics such as science, history, economics, and literature. There is now a version for younger students called Crash Course Kids. Never take for granted the gift of a well-stocked library – or a moderately stocked one with a reliable intra-library loan system. The most obvious use for the library when homeschooling is borrowing books and DVDs. Students can choose fiction and non-fiction books related to the topics they’re studying – or those about which they’re curious. Some libraries even stock homeschool curriculum. For example, our library has the Five in a Row series for preschool and young elementary students. Many libraries also offer fantastic online classes through their websites, such as foreign language with resources like Rosetta Stone or Mango, or practice tests for the SAT or ACT. Also, many libraries offer other onsite resources such as information on genealogy or local history. Most libraries also offer free wi-fi and make computers available to patrons. So, even families who don’t have internet access at home can take advantage of free online resources at their local library. With the popularity of tablets and smartphones, don’t overlook the usefulness of apps. There are several language learning apps such as Duolingo and Memrise. Apps like Reading Eggs and ABC Mouse (both require a subscription after the trial period) are perfect for engaging young learners. Apple Education is an excellent resource for iOS users. There are over 180,000 educational apps available. Starfall is another free resource that has been around as long as my family has been homeschooling. Launched in 2002, the website now includes an app for smartphone and tablet users. Originally started as an online reading instruction program, Starfall has expanded to include math skills for young learners. Many online education sites such at The CK12 Foundation and Discovery K12 offer free courses for students in grades K-12. Both were started to provide access to a quality education to students everywhere. CNN Student News is an excellent free resource for current events. It’s available during the traditional public school year, from mid-August to late-May. Students will enjoy using Google Earth to study geography or learning computer coding through Khan Academy or Code.org. In addition to the library, keep other local resources in mind. Many homeschooling families like to suggest museum and zoo memberships as holiday gifts from grandparents. Even if parents purchase the memberships themselves, they can still prove to be inexpensive homeschooling resources long-term. Many zoos, museums, and aquariums offer reciprocal memberships, allowing members to visit participating locations at a free or discounted rate. So, a local zoo membership may also provide access to other zoos throughout the country. Sometimes there are also free nights for similar venues within a city. For example, years ago when my family had a membership at our local children’s museum, there was a free night which allowed us to visit the other museums (art, history, etc.) and the aquarium using our children’s museum membership pass. Consider scouting programs such as Boy or Girl Scouts, AWANAS, and American Heritage Girls. While these programs aren’t free, the handbooks for each usually contain very educational material that can be incorporated into the lessons you’re teaching at home. 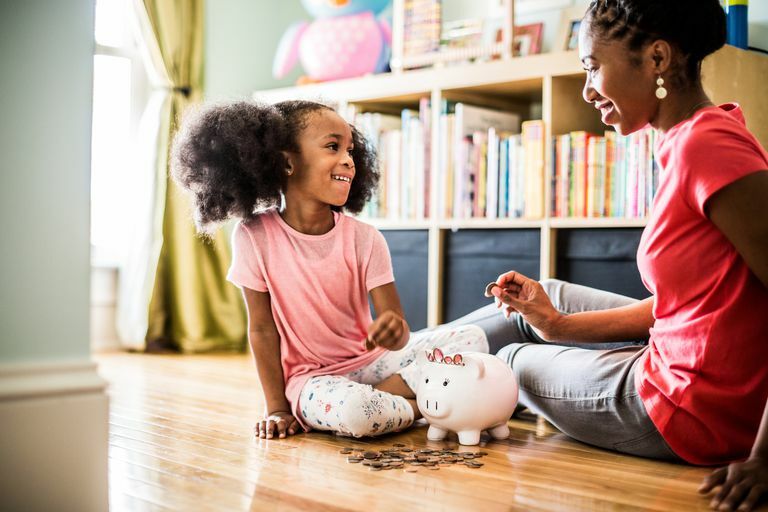 The idea of homeschooling for free may sound like a proposition with no downsides, but there are some pitfalls to watch out for. Many subjects, such as math, require that new concepts are built on previously learned and mastered concepts. Printing off random free math printables is likely not going to ensure a strong foundation. However, if parents have a plan in mind for the concepts a child needs to learn and the order in which he needs to learn them, they may be able to successfully pull together the right series of free resources. Homeschooling parents should avoid using printables or other free resources as busy work. Instead, they should make sure that the resources have a purpose in teaching a concept that their child needs to learn. Using a typical course of study guide can help parents make the best choices at each stage of their student’s educational development. Sometimes homeschool vendors, bloggers, or educational websites offer sample pages of their material. Often these samples are copyrighted materials that are meant to be shared with a specific audience, such as subscribers. Some vendors may also make their products (or product samples) available for purchase as a pdf download. Usually, these downloads are intended only for the purchaser. They are not meant to be shared with friends, homeschool support groups, co-ops, or on online forums. There are many free and inexpensive homeschool resources available. With some research and planning, it's not difficult for parents to make the most of them and provide a quality home education for free - or almost free.